Commencing operations in 1994 and one of the world’s youngest airlines, Qatar Airways, or Qatar Airlines has grown substantially and achieved a record of noteworthy awards to its name. With a fleet of 166 aircraft that depart from its hub at Hamad International Airport, the airline flies to over 150 destinations covering six continents. 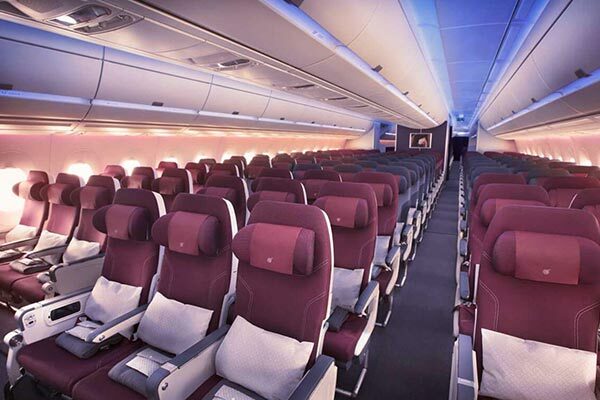 Qatar Airways became a member of Oneworld alliance in 2013 and was the first Gulf carrier to do so. With tributes like the World’s Best Airline Alliance 2015 from Skytrax (3rd consecutive year), its 6th year running for the Best Middle Eastern/African Airline, the Best Up In the Air Experience and Best for Business, acknowledging the airlines five-star service, top notch airport lounges and flight punctuality, its no wonder passengers disembarking from a Qatar Airways flight are never wayworn. 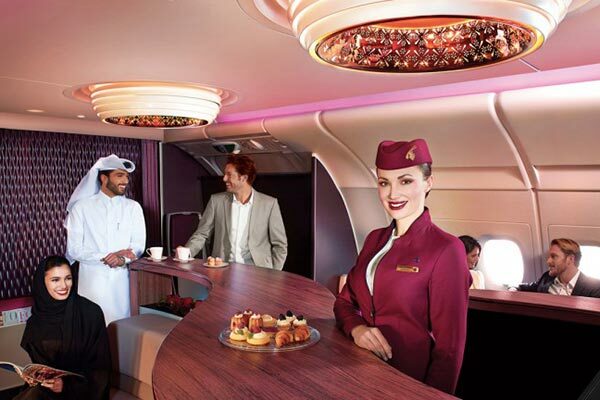 The in-flight experience is so exceptional you may forget you’re actually in an aircraft. When booking your Qatar Airways flights with us you will often see a multitude of airlines displayed in the results. This is because we offer you cheap flights first. So, although Qatar Airways flights are fairly cheap most of the time, there are other airlines that do offer cheaper flights on some of these routes. Although their First Class is of the highest standard, you will experience a new kind of luxury in Economy Class. Save yourself time and check-in online, choose your seat, print your boarding pass and if you’ve got luggage, make use of the fast-bag drop counters at the airport. You have between 36 hours and 90 minutes (excluding the U.S.) before your flight takes off leaving you ample time to relax or enjoy with friends seeing you off. On-line check-in is not available for flights departing from Salalah, Shiraz, Basra, Baghdad or Mashhad. To check-in via your mobile smart phone all you need do is download the Qatar Airways mobile application and have on hand your passport, visa and your Privilege Club membership, if a member. Enter your surname and booking reference number for access to your booking, add your details, seat selection and confirm. You can email, print or send your boarding pass to your mobile phone. Passengers checking in at the Qatar Airways South Africa airport have between three hours and one hour before flight departure and should arrive at least three hours prior to departure. Always have tickets, passports, visas and boarding passes on hand and ensure any luggage is properly labelled. All of the above classes may not exceed a maximum dimension of 300cm. Each item of hand baggage may not exceed 50x37x25cm. Additionally a coat, cape or blanket, handbag or a small briefcase, an umbrella, walking stick or a pair of crutches, a camera, reading material and an infants carry basket may be taken. If taking a laptop it forms part of your hand baggage allowance. 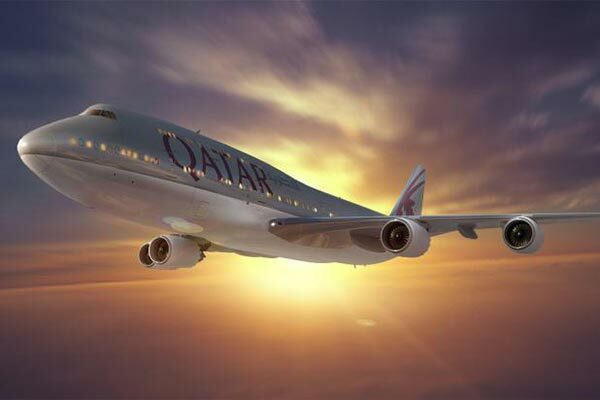 Payment for Qatar Airways Flights bookings can be made with VISA, MasterCard, American Express, UATP or Diners Club credit cards, directly from your bank via your debit card or via PayPal with other options also available. Address : Shop No. 5, Icon Building, Lower Long & Hans Strijdom Street. Hours : Monday to Friday 8.30 am to 5 pm.